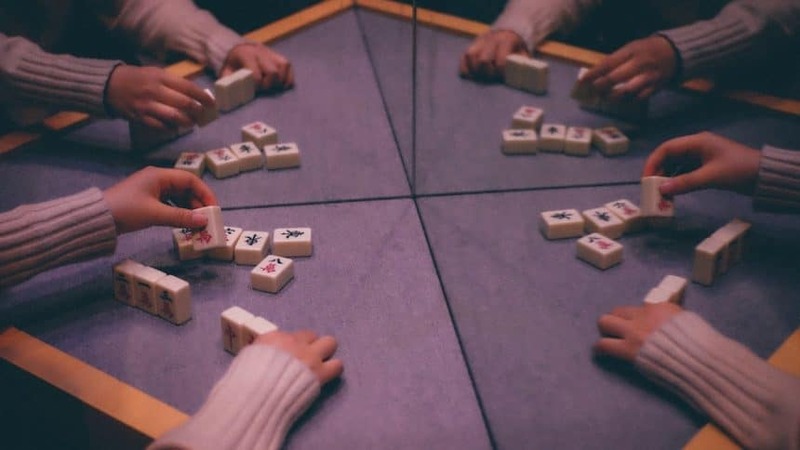 Recently, reflecting on childhood memories, I started to contemplate the relationship between mahjong, climate and mental health. I grew up playing mahjong and listening to my family have weekend-long mahjong tournaments. In mahjong, each piece has a uniform tile-like appearance, and each tile has a unique and unaltering place in the hierarchy of the game. It is easy to think of humans as pieces in a structured game. But, we are not mahjong tiles, and we can experience mental health impacts from climate events. We do not come in regular shapes and sizes, and we don’t think or feel the same way. A person raised in Canada will have a different experience and life than someone raised in Calcutta. Humans are creatures of emotion, and that is the common denominator. We are shaped by our childhood and the environment we live in. We laugh when we are joyful, and shed tears when our feelings are hurt. When fears haunt us, we have difficulty sleeping or strike out in anger. These emotional reactions are common traits that we all share. Organizations are entities that bind groups together on a common mission. Staff motivate and empower the operations and growth of the organization. As well, our customers and stakeholders exist within a community and work within a society. They too, are living within the human framework of needs and wants, balancing demands and personal inclinations with the necessity to earn a living. A statistical view of a population, generally including age, gender, income, schooling, occupation and so on. Also, they go on to emphasize the importance of such statistics to the success of a company. Understanding the demographics of our customers and stakeholders is essential to the success and growth of our organizations over time. Extreme climate events can have devastating impacts on organizations and communities. For example, extreme events can cause the displacement of whole communities, such as with the Ft. McMurray wildfire. There are two levels of effects. In the short term, people are merely concerned about survival. If the organization is a member of this community, it too must survive the impact of the event. In the post-disaster period, communities will attempt to revive and rebuild their home. However, continuity of functions and rebuilding in the post-disaster period is often impacted by psycho-social or psychological trauma. Since humans are individuals, not regulation shaped mahjong tiles, they will exhibit the symptoms of emotional trauma. Furthermore, they will exhibit these impacts at different times and in different ways. Regardless of the timing and effects, the functions of an organization may be impaired. Productivity and operations can be lowered. The local community, our customers, and stakeholders will exhibit similar trauma in response to these massive events. Often, attempts to regain the pre-disaster condition take a long time and may be fruitless. Our actions may not necessarily return us to “normal,” but may establish a “new normal,” one that integrates our shared experience of the disaster. Ultimately, our staff, customers and stakeholders may be sensitized by the traumatic events and could even respond in more extreme ways, should a similar event recur. Consider, for example, communities that experience repeated incidents of major overland flooding. At a personal level, having lived in Edmonton during the disastrous tornado of 1987, we have never looked at a thundercloud without a twinge of fear, ever since. That is 32 years ago! We can safeguard our organizations in several ways. Generally, after a disaster, our first response is to ensure the survival of the organization. However, the long term resiliency of the organization depends on effective communication, education, and outreach to sustain the health of the organization, its staff, and the community it serves. Additionally, it is critical to protecting the knowledge base needed for the ongoing success of the organization. Large organizations within a community, are often perceived to have the role of community caregiver. We must grow beyond the perception that our staff, customers and stakeholders are like mahjong tiles, whose mental health is unaffected by climate events. These communities can experience mental health impacts from severe climate events. Consequently, any outreach to the community at large, offering help and communication, will reap tremendous rewards, enhance the organization’s reputation, and improve customer relations. Most organizations are not equipped to recognize and manage psycho-social dynamics. However, we can access resources to aid in these efforts. For example, the local Red Cross is a useful resource where courses and counsellors are available to provide education and assistance in these matters. Recently, the California-based power company, PG&E, had to declare bankruptcy. This debacle followed PG&E’s perceived lack of community spirit, arrogance, and grudging acknowledgement of their part in sparking the deadly Camp Fire in California. Additionally, PG&E threatened the state government that their failure would have a too far-reaching effect on the whole community, and in essence, they were too large to fail. These acts, or inaction and blame-shifting projected a lack of community spirit that eventually resulted in complete loss of reputation and goodwill from the surrounding communities and the state government. Ultimately, PG&E lost its social license to operate, leading to their demise. This case is a clear example of the consequences of treating people like unfeeling game tiles. The Camp Fire severely traumatized the people of California, and PG&E lived the reality of neglecting the impact of these events on the mental health of the community. Our society faces the inevitable consequences of climate change. Climate extremes are becoming more frequent and are more severe. Generally, we contemplate physical, technical, and procedural risk control measures to address the impacts of a changing climate. However, we must also recognize the mental stresses associated with these events and the effects they can have on our staff, customers and stakeholders. Our risk controls should contemplate possible psycho-social first-aid. As we move forward, we should encourage our staff to undertake training opportunities in psycho-social first aid, or even better, provide these training opportunities internally. The rewards may not be immediate, but the effort will pay dividends in the longer term. 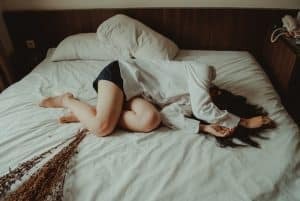 A good understanding of how climate events impact mental health will eventually create a positive work environment and lower injuries and losses of key personnel through illness or suicide. Additionally, socially sensitive staff who understand these issues can nhance the organization’s reputation, and improve customer relations. In our risk planning, we must recognize that we are all humans and not unfeeling mahjong tiles. Moreover, an organization, as a collection of humans beings, will exhibit a large variety of complex human and social reactions to disaster events, over a long period. Decision-makers play a critical role in safeguarding the organization and its personnel. Adequate preparation for the traumatic effects of climate events and their subsequent impact on the organization, its staff and clients, will ensure a faster and more certain recovery after an extreme event. You are not alone. There are folks here to help you out. Seek the advice of climate, risk, and resiliency experts. Consider accessing psycho-social training and resources available through groups like the Red Cross and other experts and see how you might adapt their advice into your organizational structure. Above all else, let’s all pull together to make climate resiliency core business. We provide ongoing commentary on these issues. If you wish to learn more about climate, risk, and resiliency, sign up for our monthly newsletter, or to our weekly blog. Or, feel free to contact us, we are always happy to discuss your climate, risk and resiliency.